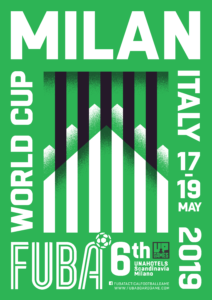 FUBA World Cup 2019 will be held in Milan! The event will take place in UNA Hotel Scandinavia. More information available at the event page. It will be first time FUBA World Cup is organised outside of Finland. We have also scheduled Italy – Finland test match for Friday evening.